The Best Lean Manufacturing Blogs from thousands of Lean Manufacturing blogs on the web using search and social metrics. Subscribe to these websites because they are actively working to educate, inspire, and empower their readers with frequent updates and high-quality information. Lean Manufacturing newsletter is a comprehensive summary of the day's most important blog posts and news articles from the best Lean Manufacturing websites on the web, and delivered to your email inbox each morning. To subscribe, simply provide us with your email address. Fort Worth, TX and Orlando, FL About Blog Lean Blog by Mark Graban is all about improving hospitals and other types of organizations through the "Lean" methodology and mindsets. Facebook fans 1,396. Twitter followers 18,694. US About Blog Gemba Academy offers online Lean Manufacturing, Lean Office, and Six Sigma training to companies around the world. They teach topics such as 5S, the 7 Wastes, Kanban, Standard Work, Value Stream Mapping, Quick Changeover, and how to leverage these methods in Kaizen Events. Facebook fans 3,151. Twitter followers 6,124. Massachusetts About Blog Tim is a Lean implementation leader, author, and blogger. Tim has nearly 20 years of leadership experience implementing Lean manufacturing. A proven leader in high tech manufacturing companies, he is passionate about quality improvement methods by actively learning, thinking and engaging people. Facebook fans 2,119. Twitter followers 3,600. Lehigh Valley, PA About Blog Jamie Flinchbaugh is a lean advisor, speaker, and author. He is the founder of both JFlinch and Old Dutch Group. Previously he co-founded the Lean Learning Center, and he has helped build nearly 20 other companies as either a co-founder, board of directors member, advisor, or angel investor. Facebook fans n/a. Twitter followers 4,751. About Blog Check out whats happening around Kanbanize and whats fresh. Kanbanize is online Portfolio Kanban software for Lean Management. Kanban boards, flow analytics and automation bring visibility and help you deliver on time. Facebook fans 1,515. Twitter followers 1,513. Germany About Blog Christoph Roser is a professor of production management at the Karlsruhe University of Applied Sciences. The content on this Lean blog is based on decades of experience in implementing, researching, and teaching lean manufacturing, including five years working at Toyota in Japan. Facebook fans 215. Twitter followers 1,447. About Blog Planet Lean is the official online magazine of the Lean Global Network to share LGN's knowledge of and experience with lean thinking and practice around the world. Facebook fans n/a. Twitter followers 5,317. San Francisco, CA About Blog Keep up-to-date with the latest in startup news and lean thinking on the Lean Startup blog. Lean Startup Co offers content, courses, webinars and consulting to take your large or small business to the next level with Lean Startup methodology and techniques. Facebook fans 3,345. Twitter followers 148,391. Palo Alto, CA About Blog Michel is an experienced Lean thinker and is passionate about process improvement. He has a solid background as a product engineer and developer/implementer of manufacturing software. Michels work is now focused on Lean and currently involves consulting on implementation, teaching short courses, and writing. Charlotte, NC About Blog Scrum Courses, Consulting Coaching, Lean Agile Scrum Transformations-Agile Software Development, New Product Development, Project Management. Follow this blog to gain in depth knowledge on scrum and agile. Facebook fans n/a. Twitter followers 935. San Francisco, CA About Blog A reddit community for sharing information, tips and stories about lean manufacturing, six sigma, 5S, process improvement, kanban, industrial engineering and related conent. Facebook fans 1,228,750. Twitter followers 595,386. USA About Blog GoLeanSixSigma.com makes it easy for everyone everywhere to build their problem-solving muscles using Lean Six Sigma. Facebook fans 1,983. Twitter followers 5,931. Mississauga, ON About Blog Total Productive Maintenance - TPM methodology implementation, change of behaviour and culture. Facebook fans 268. Twitter followers 1,301. UK About Blog Agendashift is brought to you by Positive Incline Ltd, UK-based specialists in leadership and change management with Lean, Kanban and Agile. Founder Mike Burrows is known for pioneering the values model for the Kanban Method that led to his definitive book, Kanban from the Inside. California, USA About Blog KBJ Anderson Consulting is to help individuals and organizations gain clarity on their goals, deepen their problem solving skills, and develop more effective leadership habits. Facebook fans n/a. Twitter followers 1,411. Providence, Rhode Island About Blog Bob Emiliani is a professor of Lean management at Central Connecticut State University. He is an author of 17 books and 47 research papers based on his deep researches in the fields of leadership and management. Prior to his academic career, Dr. Emiliani has 15 years of industry experience and he is more than passionate about Lean management. Central Coast, California About Blog Kevin is a co-founder of Gemba Academy and an accomplished lean practitioner. He has been in a variety of executive leadership roles, primarily in the medical device industry. Kevins background is in engineering and operations with a focus on lean manufacturing and lean leadership. Facebook fans n/a. Twitter followers 5,300. Toronto, Canada About Blog In this outstanding Lean blog, you can enjoy insightful articles, find interesting facts and curious points of view. The author often presents commonly accepted norms and theories related to Lean but from a different angle. Pascal Dennis is a professional engineer, advisor and author of several books. Facebook fans n/a. Twitter followers 1,710. About Blog LeanBP offers education, consulting, facilitation, and hands-on training to make your organizations business processes lean and efficient. 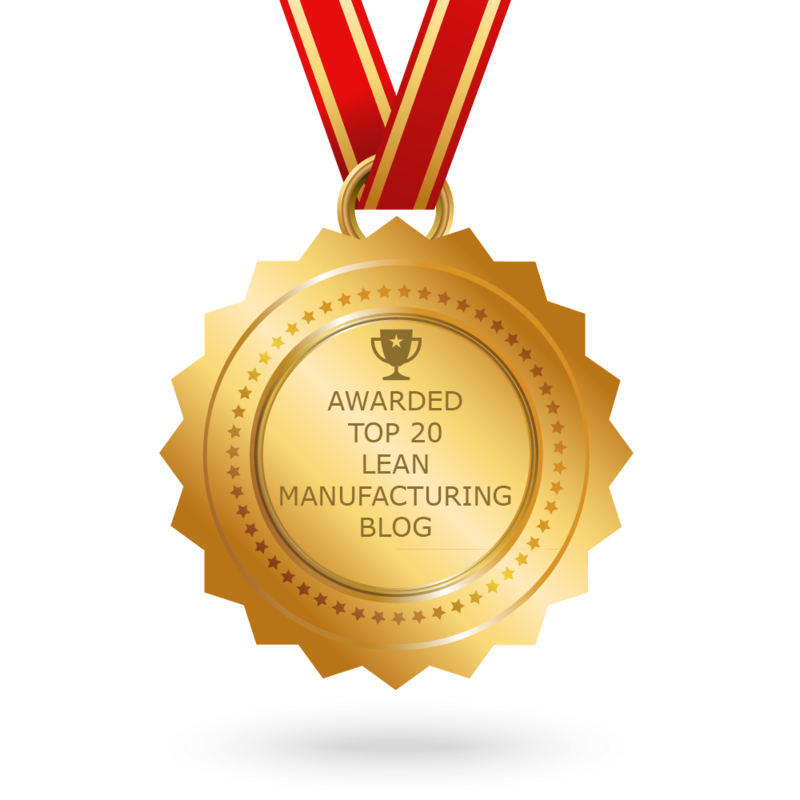 CONGRATULATIONS to every blogger that has made this Top Lean Manufacturing Blogs list! This is the most comprehensive list of best Lean Manufacturing blogs on the internet and I’m honoured to have you as part of this! I personally give you a high-five and want to thank you for your contribution to this world.